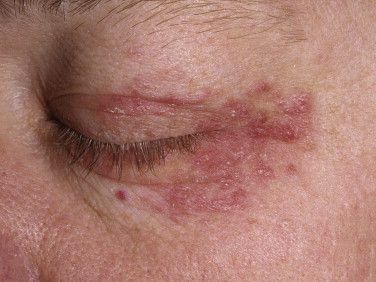 Perioral Dermatitis (PD) is inflammation of the skin, primarily around the mouth, but can be found around the eyes, in the folds of the nose, and forehead. Most often it looks like a red, slightly scaly or bumpy rash that may burn or itch, but those sensations aren’t common. In some cases there are small bumps that can appear to be acne because they are filled with pus. While 90% of people suffering from perioral dermatitis are mostly women between 20-45, it can affect men too! Topical steroid creams that are applied to treat other conditions and inhaled prescription steroid sprays used in the nose and mouth. 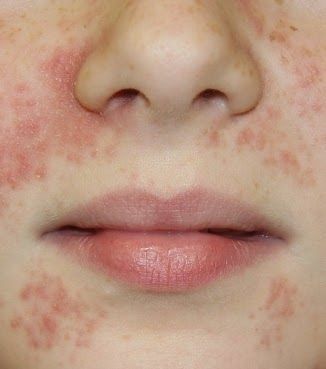 Perioral Dermatitis from using a Steroid inhalant. Applying heavy creams that contain petrolatum or paraffin base, which actually worsen perioral dermatitis. Read the labels of your cosmetics (face washes, toothpastes, moisturizers, basically anything that touches your face and hair) because a few ingredients may be the nasty culprit causing your rash! Be on the look out for these haters: Sodium Lauryl Sulfate (SLS), Parabins, and Whiteners! Topical/oral antibiotic medications, such as Metronidazole and Erythromycin. Pimecrolimus cream which is an immuno suppressive cream. Topical anti-acne med school such as Adapalene or Azelaic Acid. Oral antibiotics may be required if your case is more severe. Doxycycline, Tetracycline, Minocycline, or Isotrentinoin. You should also discontinue non-prescription hydrocortisone. Think of your skin as a creme junkie that needs to go cold turkey! No more creams and heavy makeup. No scrubs or exfoliants. Cleanse with gentle facial cleansers like PCA Creamy Cleanser, and make sure that you are keeping your skin moisturized and protected from UV rays because some of the medications used to treat PD make your skin more sensitive to the sun! We don’t want to be a sunburned, hyperpigmented, Perioral Dermatitis hybrid! What a hot mess that would be! Note that heat and wind can aggravate PD symptoms too. 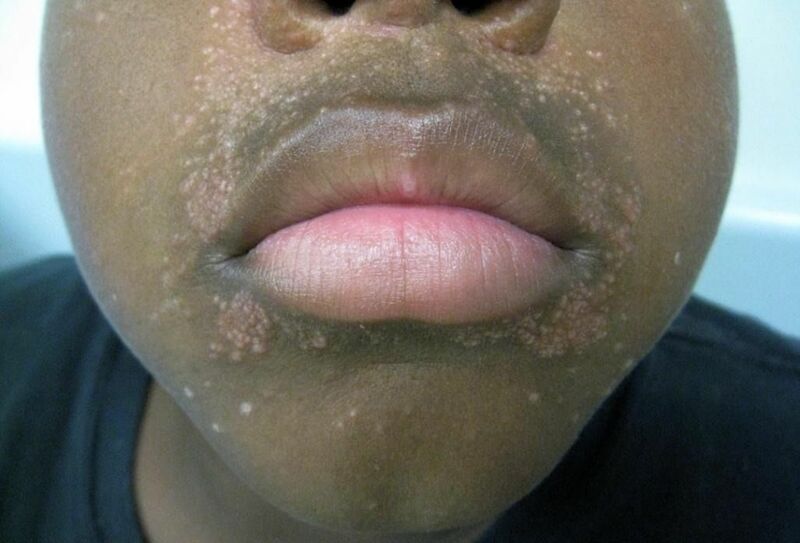 Perioral Dermatitis at folds of nose and mouth. Not all cases are this inflammed. 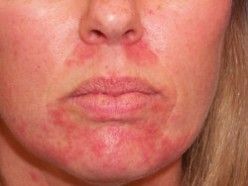 In fact three of my clients were diagnosed by a dermatologist and their rash was nowhere near this red. So it’s best to see your dermatologist to determine your condition and best course of treatment.